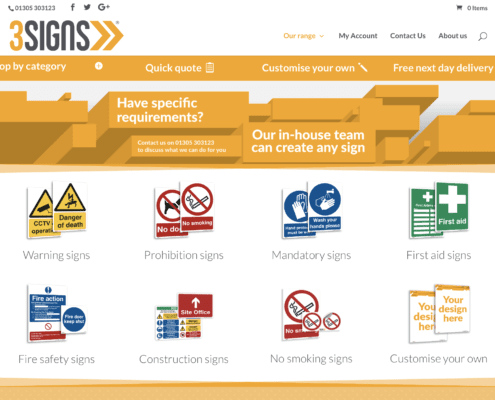 3 Signs is one of the UK’s leading online manufacturer and distributor or health and safety signs for the workplace. They approached us with a very simple aim and objective, to create a stunning website that was really easy to navigate and allow products to be added on a weekly basis. 3 Signs also wanted help with SEO (Search Engine Optimisation) so we helped them gain great organic exposure via Google.